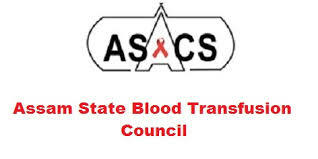 Transfusion Council Khanapara, Guwahati-22 reserves the right to reject any or all applications without assigning any reason thereof. Only shortlisted candidates will be called for the interview. Eligible candidates may apply online through the website www.assamsacs.org, from 09.08.2017 to 23.08.2017 by 11:55 pm. Complete details regarding application criteria and other relevant details are available on the official website. Qualification/Experience: MD/ Diploma in Blood Transfusion Medicine/ MD Pathology with 15 yrs Experience in relevant field. Qualification/Experience: PG in Social Science/ MSW/ Psychology/ Anthropology with minimum 5 yrs of Experience in relevant field. Qualification/Experience: M.Com with minimum 5 yrs of Experience in Finance & Accounts. Qualification/Experience: MBA/ M.Com with minimum 3 yrs of Experience in relevant field. Qualification/Experience: BE/ B.Tech (Civil Engineering) with minimum 3 years of Experience in relevant field. Qualification/Experience: PG in Hospital Management with minimum 3 years experience in working in Health Care Institution. Qualification/Experience: BE/ B.Tech (Electrical/ Mechanical) with minimum 3 years Experience in relevant field. Qualification/Experience: B.Tech (ECE/ IT/ CSE) with minimum 3 yrs of Experience in relevant field. Qualification/Experience: Degree/ Diploma in Mass Communication. Qualification/Experience: Graduate with minimum 1 year Diploma/Certificate course in computer & minimum 3 yr Experience in Govt./Govt. Undertakings/ Private Sector. Qualification/Experience: Diploma in Modern Office Management with proficiency in Stenography/ Shorthand. Last Date: 23 Aug. 2017. The candidates are required to fill up their applications from online from link given in the website of www.assamsacs.org on or before 23rd Aug 2017. The details of the advertisement regarding qualification, experience, salary and age etc. may be seen in the website www.assamsacs.org.